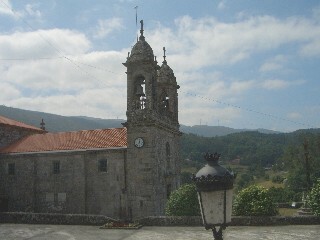 O Carballino is a large town in the Ourense province in southern Galicia. It is some 20 minutes (30 km) north of the provincial capital at the junction of the OU-504 and the OU-902. Reaching it from cities like Pontevedra and Santiago de Compostela will involve a journey with a duration similar to that of driving to Ourense city. 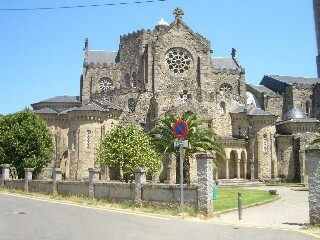 Along with Ribadavia, O Carballino is probably Ourense's largest town. That said, it possesses none of the charm, historic buildings or tourist appeal of the former and we would not recommend it as a stand alone tourist stop. O Carballino does have some older buildings, but the town is certainly not one to add to a tourist checklist and most of the buildings around the town center were constructed during the 19th century and, based on their appearance, probably the architecturally uninteresting 1950's and 1960's. Within a centrally located plaza in the town's main shopping and business district you will find a very small glass walled tourist office (a small cubicle really) and from here you can get leaflets and tourist information about the town and other localities in Orense province. 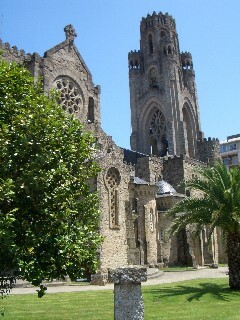 The mini guide for O Carballino highlights the churches and other buildings of visitor interest. One of these buildings was the railway station, a stone structure located on the outskirts of O Carballino, and in truth we thought it was decidedly unimpressive. Another building shown in the tourist information is a natural Spa. This Spa, called the Gran Balneario, is similar to others in Galicia, e.g. Cuntis Balneario, in that you can either enjoy the healthy mineral rich waters, or indulge in treatments and therapies. The Spa is on the lower side of the town centre. The town does have an alameda along with plenty of shops and it is clearly driven by commerce. Whilst we found nothing to dislike or criticize, there is equally nothing to promote or extol, especially from the sightseeing perspective of a tourist – with that is, one exception. Above left and right, Vera Cruz Temple, described below. O Carballino's single serious tourist draw is a large church called the temple of Vera Cruz and we saw the tall spire of this church as we made our way into the town's central area. The temple of Vera Cruz is outstanding for a number of different reasons. Firstly, it is totally at odds with every other building around it, and indeed every other building in the town of O Carballino. Secondly, it has what could best be described as an old horror movie look to it. It is massive, both in plan size and steeple height and has an almost creepy appearance. It seems more like a folly than a real church. Architecturally it does not fall into any obvious era or style and although we were unable to obtain any information about it, we suspect its appearance belies a relatively recent construction. Despite this, it is definitely eye catching and highly intricate in its detailing from the elaborate circular turrets that appear to jut out from every elevation, to the truly weird arches of the spire that splits into five mini towers at its peak. We spent quite some time walking around and looking at this building, but at 3.00pm in the afternoon it was of course closed, preventing us from going inside. 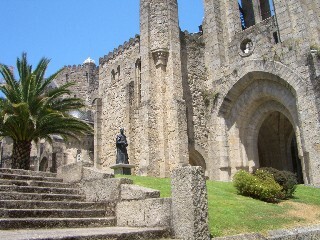 Just in front of the tower and main portico of the church is a statue of the man behind its construction. There is also a small plaque, but this added little additional information and we left without knowing when or why it was built. Should you go to O Carballino? The answer is probably not unless it is a driving break on route to somewhere more interesting, however take a look at our second page about this town before you decide (the button is in the right hand menu column near the top of the page). The church of Vera Cruz is certainly different, but perhaps it does not warrant a visit in its own right.